Maddie Frey runs during the 5k race hosted by NKU. 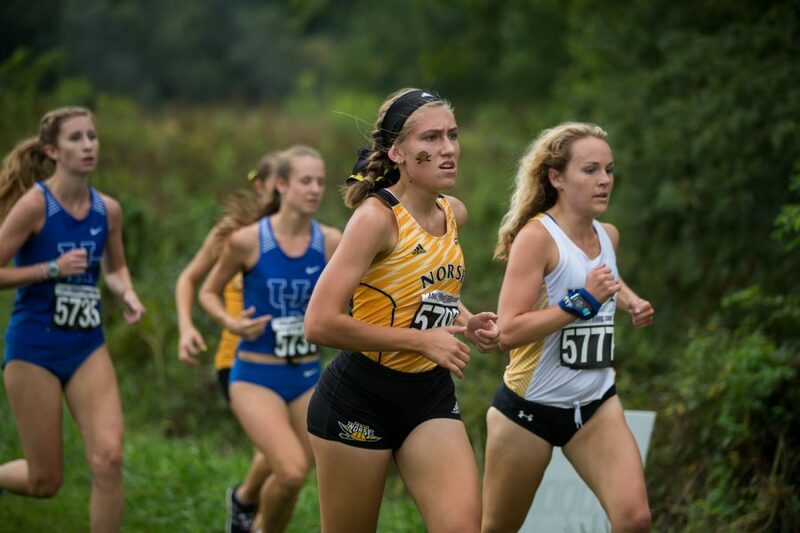 It’s been 39 years since NKU held a cross country meet on campus, and the 36th Queen City Invitational just broke that streak. 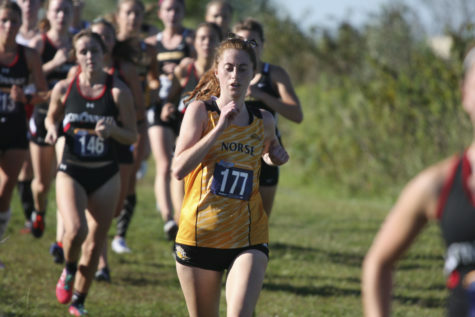 The Norse men’s team took fifth place with 125 points overall while the women’s squad placed ninth with 233 points on Saturday. Getting the course was “a total team effort” from various people in the athletic department, roads and grounds, and the maintenance division of the university. It took some preparation that started last fall and continued all summer long. The course has an “old school” feel, Tobler said. The trail is windy, has hills, and sharp turns, so knowing when to play it smart and when to go was key in this meet. The Queen City Invitational brought 14 teams for the men’s race with 178 runners on the course and the women’s race had 12 teams with 149 runners on the trail. Alec Sandusky was the top finisher for the NKU mens team placing 12th with a time of 15:45:70. While Kyle Mastin finished 22nd with a time of 15:50:20, Ryan Burrows finished 25th with 15:55:00 and Blake Rigdon finished 59th with 16:27:90 rounding out the top five for the Norse scores. 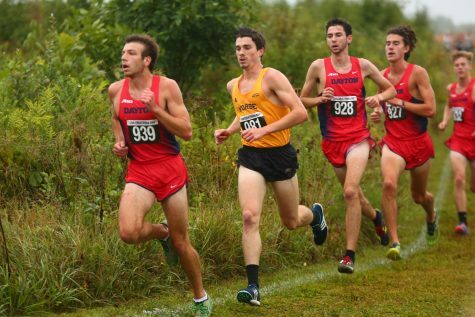 The men’s team finished fifth place with 125 points with an average time of 16:03. The women’s team finished ninth place with 233 points with an average time of 19:42. 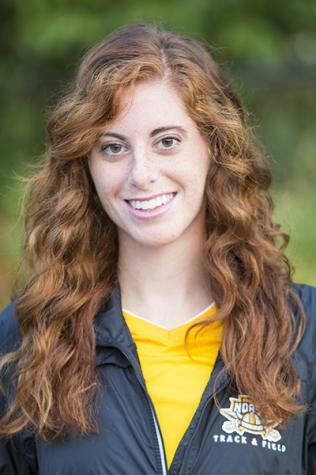 Tobler was the top finisher for the women’s team, placing 27th with a time of 18:48:20. Jennah Flairty finished in 37th at 19:10:20, Sydnee Mangette finished 64th at 19:43:50, Kimmy Wolfe finished 80th at 20:14:60 and Savannah Brady crossed the line 90th at 20:31:60 to round up the Norse scores. 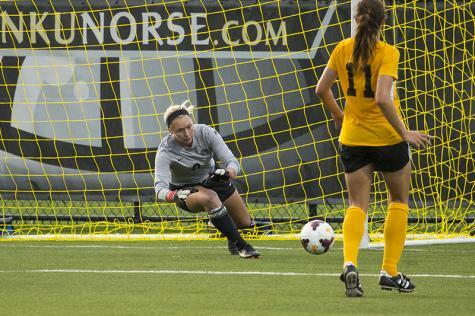 Up next for the Norse is the John McNichols Invitational at Indiana State on Sept. 15.